Contents: Part A:Emotional Experience in Everyday Life. K.R. Scherer, D. Matsumoto, H.G. Wallbot, T. Kudoh, Emotional Experience in Cultural Context: A Comparison Between Europe, Japan and the USA. H.G. Wallbott, K.R. Scherer, How Universal and Specific is Emo- tional Experience? Evidence from 27 Countries on Five Continents. Part B:Cognitive Dimensions of Emotion Appraisal. T. Gehm, K.R. 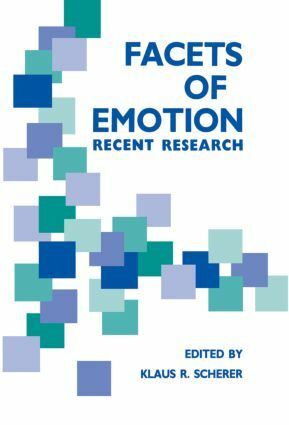 Scherer, Relating Situation Evaluation to Emotion Differentiation: Nonmetric Analysis of Cross-Cultural Questionnaire Data. I. Borg, T. Staufenbiel, K.R. Scherer, On the Symbolic Basis of Shame and Pride: A Facet Theory Approach. K.R. Scherer, T. Gehm, Dimensions of Subjective Emotional Space. Part C:Emotion Signalling in Person Perception. F. Tolkmitt, G. Bergmann, T. Goldbeck, K.R. Scherer, Vocal Affect Communication: Experimental Evidence. H.G. Wallbott, Faces in Context: The Relative Importance of Facial Expression and Context Information in Determining Emotion Attribution. U. Hess, A. Kappas, K.R. Scherer, Multichannel Communication of Emotion: Synthetic Signal Production.